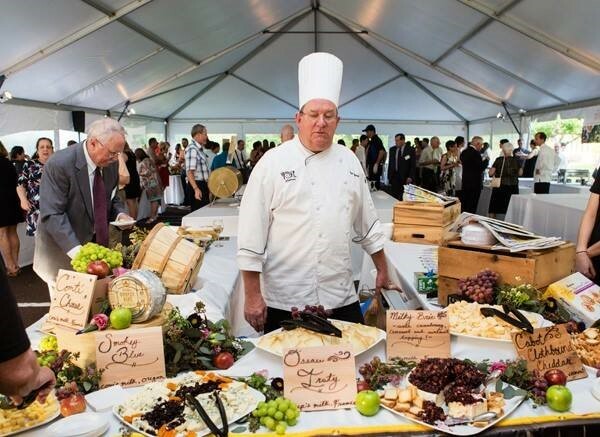 Join local VIPs, dignitaries, and friends of Pearl S. Buck International for this gala gourmet event which showcases the area's premier food and beverage offerings from local restaurants as well as food and drink purveyors. A panel of culinary judges will choose the winner of the Top Taste Award and guests will vote for the Fan Favorite Award. Beautiful and unique objects and experiences will be offered at a fun live auction and a silent auction. Held on the grounds and in the Estate Pavilion of the beautiful Pearl S. Buck estate, this is one perfectly delicious evening-out for foodies and friends! All proceeds from this annual event benefit the work of Pearl S. Buck International in bridging cultures and changing lives through intercultural education, humanitarian work, and preservation of the Pearl S. Buck House, a National Historic Landmark. Thanks to our generous sponsors who help to make this event – which supports the mission and work of Pearl S. Buck International – possible. Yes, I would like to receive periodic updates and communications. "Main Event - Individual Ticket (6 - 9 pm)" tickets cost $75.00, of which $50.00 is tax deductible. "Main Event - Table of Eight (6 - 9 pm)" tickets cost $525.00, of which $325.00 is tax deductible. Ticket to Chairman's Reception - Hor's Devours and Drinks on the Terrace of the Pearl S. Buck House. 5 pm to 6 pm. "Pre Event - Chairman's Reception Ticket (5 - 6 pm)" tickets cost $30.00, of which $20.00 is tax deductible.